Uncertainty in the economy, as well as a squeeze on household budgets, is keeping potential buyers out of the housing market, a lender has said. The Nationwide Building Society said that demand from buyers was “subdued” and unlikely to pick up soon. UK house prices had risen by 1.9% in the year to November, it said, with the average value of a home now at £214,044. Analysts said Brexit uncertainty was also making buyers cautious. 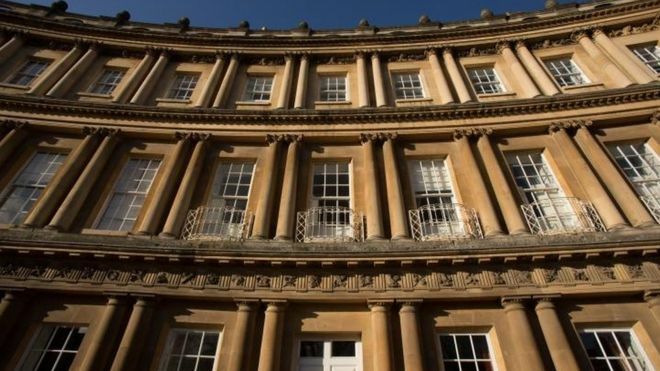 The Nationwide said that the annual property prices increase had accelerated compared to the 1.6% rise in October, which had been a five-year low. Prices were up 0.3% month-on-month compared with October, it said. Robert Gardner, Nationwide’s chief economist, told BBC Radio 4’s Today programme that there was a wide range of ways Brexit could affect the housing market, with a shock hit from a “no deal” still unlikely. “Our central expectation is the UK will eventually reach a deal with the EU and continue to grow, at a fairly modest pace in the near term with this accelerating as the uncertainty lifts. But we’re prepared for lots of different circumstances,” he said. However, if uncertainty were to lift in the months ahead and if employment continued to rise, there was scope for housing market activity to pick up through the next year. 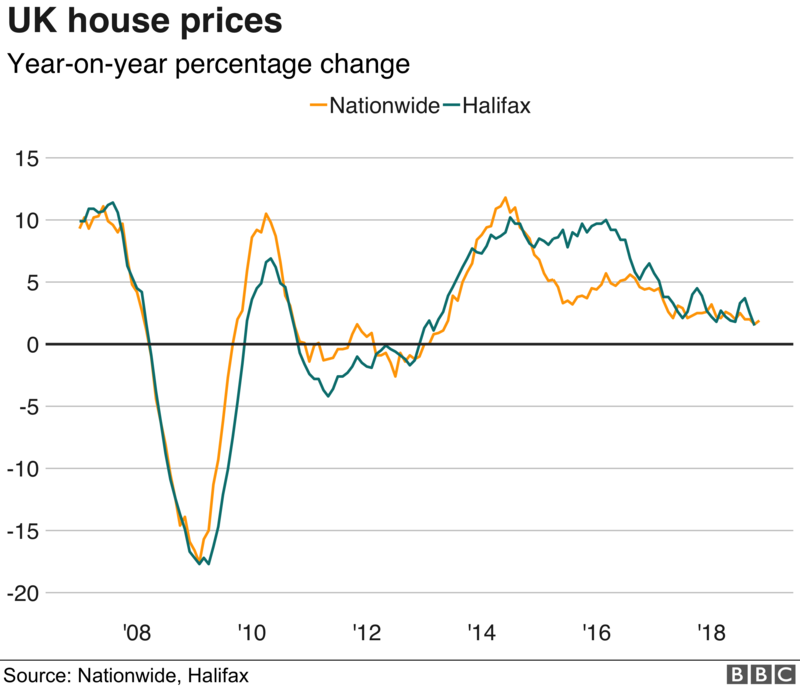 Analyst Howard Archer, chief economic advisor to the EY ITEM Club, said that the UK housing market would “remain stuck in low gear over the coming months”. “Although there are varying performances across regions with the overall national picture dragged down by the poor performance in London and parts of the South East of England,” he said.